Celebrate Vietnamese Women's Day, let AEON MALL Long Bien send thousands of good wishes and the most sincere words to half of the world! Modern Vietnamese women, not only have to take care of their families, raise their children but also have to balance their work and personal time for themselves. 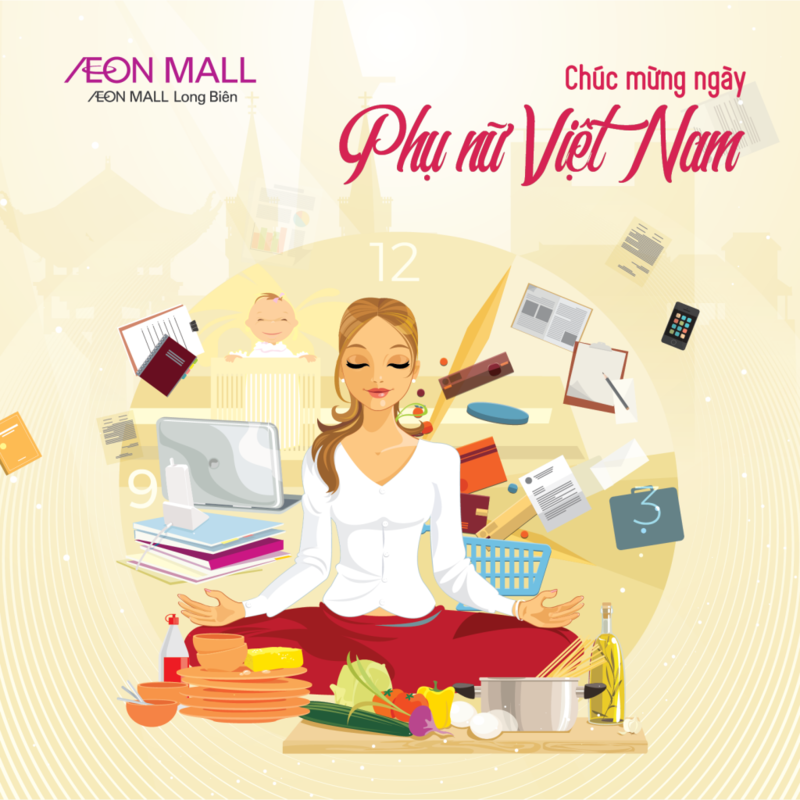 Understanding the situation of Vietnamese women, AEON MALL Long Bien wants to give our ladies some moments to relax, enjoy shopping without any worries. Join the mini game “Throw ball and receive gift” at the Center court, each ball hit the basket, you will have a chance to receive valuable gift vouchers from our tenants. In addition, with each bill from 300,000 VND or more, you will receive free gift wrapping service. Let’s go to AEON MALL Long Bien to have a great experience on Vietnamese Women’s Day!